For decades, the United States has maintained a hands-off policy towards the disputes in the South China Sea. It would not take sides as long as freedom of navigation through the area was ensured. It would only encourage the disputants to peacefully resolve their conflicts. 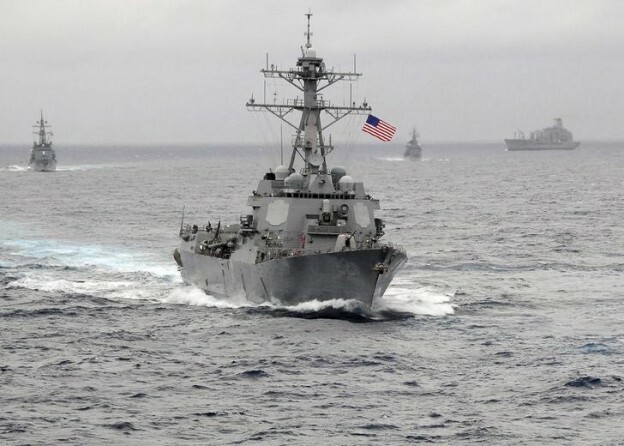 But over the last half-decade, as China has ratcheted up its activities in the South China Sea, the United States has stepped up its military presence there. By and large, China has ignored such signs of American displeasure and instead accelerated its activities. How Southeast Asian countries have reacted to the firmer American posture has largely been a function of their evolving views of China and its intentions. For many years, most Southeast Asian countries had hoped that China’s priorities would come to mirror their own, where economic development takes precedence over political or territorial disputes and solutions are reached through multilateral dialogue and consensus. It is a formula that brought peace to the region—one that was ridden with conflict for much of the Cold War. Thus, when China began its ascendance in the 1990s, Southeast Asian countries sought to acclimatize China into their norms. ASEAN put much stock in that strategy, which for a time seemed to work. China even signed ASEAN’s non-binding code of conduct on the South China Sea in 2002. Though little progress was made in settling the dispute since then, trade between China and Southeast Asia rapidly expanded. But over that same time Chinese economic and military power grew even faster, making Beijing feel freer to pursue its regional aims on its own terms. 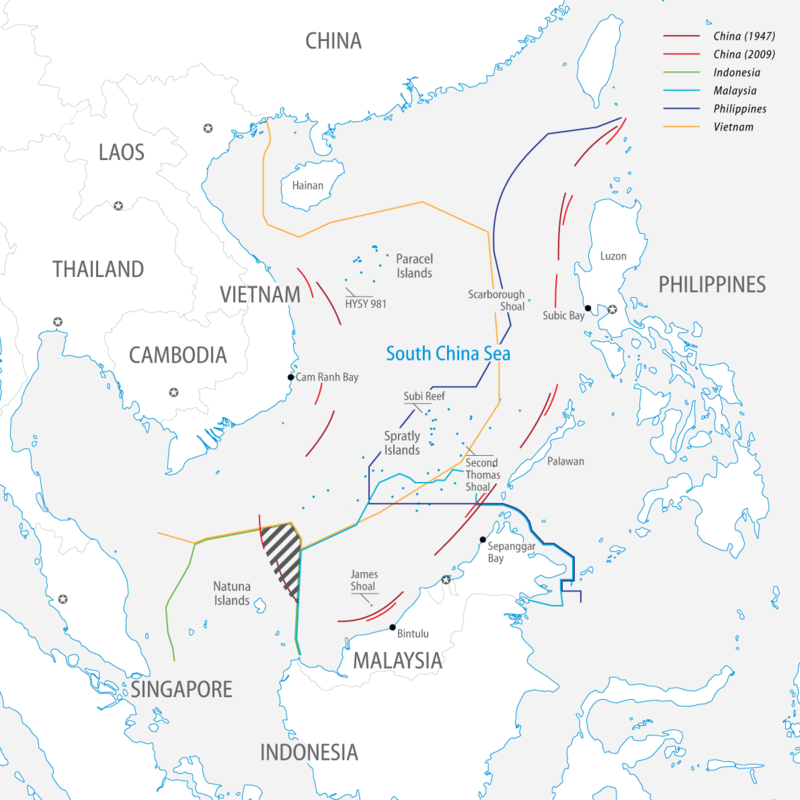 However, Chinese assertiveness in the South China Sea has begun to change Southeast Asia’s perceptions of China and, in turn, its perceptions of the United States. With the construction of its new military outposts in the Spratly Islands, China is in a far better position to pursue what some have regarded as a strategy to establish de facto control over the South China Sea through the use of aggressive policing to gradually deny other claimants access to its waters. Naturally, those Southeast Asian countries that have been most exposed to China’s activities have embraced the greater American military presence the most. Those without any claims in the South China Sea dispute have been less keen on it. Those in the middle—countries that have claims in the South China Sea but have not yet felt the brunt of Chinese assertiveness—have equivocated. The Philippines was the first Southeast Asian country to feel serious Chinese pressure since the 1990s. Perhaps that was because it had become an easy target after it let its navy and air force wither away or because China wanted to test the resolve of its security treaty ally, the United States. Whatever the reason, Chinese provocations steadily increased. First, China detained Philippine fishing boats in the South China Sea. Then, in 2012 it blocked Philippine access to Scarborough Shoal, only 240 kilometers off the coast of Luzon. A year later, it prevented the Philippines from resupplying its outpost on Second Thomas Shoal. Having few other options, the Philippines countered China’s efforts by bringing a legal case against it at an international court. Though Vietnam has not been a vocal supporter of America’s firmer posture in the South China Sea, it has repeatedly invited US warships to its Cam Ranh Bay naval base. Prime Minister Nguyen Tan Dung even said that he “would welcome the United States playing a larger role in tempering regional tensions.”9 This year, Vietnam hosted Secretary of Defense Ashton Carter, who pledged USD 18 million to expand the country’s coast guard. Even so, Vietnam is not counting on the United States alone. It has concluded military cooperation agreements with Brazil, India, Japan, and Russia. Closer to home, it took the extraordinary step of military cooperation with another South China Sea disputant, the Philippines. Both need time to beef up their defenses. As long as US efforts in the region buy it more time to do so, Vietnam is likely to approve, if quietly. That railway is now expected to extend to Thailand, the only major Southeast Asian country with no direct stake in the South China Sea dispute. While it is a longtime ally of the United States, relations between the two countries have been strained since Thailand’s military coup in 2014. Thai military leaders, stung by American sanctions after the coup, have warmed to China. They recently approved not only the railway’s development, but also closer military ties with China. Beijing reciprocated by buying one million tons of surplus rice from the Thai government, freeing it of a massive financial burden.11 So far, Bangkok has kept mum on America’s firmer posture in the region. Another country that has kept a low profile on the South China Sea dispute is Malaysia. Despite its own claims in the disputed waters, it has consistently played down Chinese provocations, long believing in the importance of continuing its dialogue with China. Hence, Malaysia has led ASEAN’s attempts to acclimatize China into its multilateral norms. That was still Malaysia’s approach last year when it feted the fortieth anniversary of its diplomatic relations with China. Nevertheless, Indonesia’s relations with the United States have been slow to warm after years of US sanctions against Jakarta. Only recently has Indonesia become more receptive. In 2012, it accepted an offer of 24 F-16 fighters with upgraded with maritime and strike capabilities from the United States. This year, Joko announced that Indonesia would join the US-led Trans-Pacific Partnership FTA. While Indonesia has not openly supported America’s firmer posture, until it can strengthen its forces on the Natuna Islands a stronger American military presence should give it some comfort. China is changing the status quo in the South China Sea. How seriously those changes have impacted individual Southeast Asian countries has driven the degree to which each has welcomed the firmer posture of the United States. Certainly, they all have benefited from China’s tremendous economic growth and are understandably hesitant to spoil that, especially those countries with no claims in the South China Sea. Some still cling to the hope that China will come around to embrace ASEAN’s multilateral norms. They remain reluctant to concede that China may never come to adopt their worldview. But China’s recent actions in the South China Sea are causing many of them to lose hope. Some see an emerging Chinese strategy to incrementally establish de facto control over the South China Sea. It has already prevented Philippine authorities from operating near many of their disputed islands and resupplying those that they occupy. China has begun to do the same to Vietnamese-held islands. Indonesia and Malaysia are beginning to wonder whether their maritime claims are next. China is doing its best to blunt criticism of it with economic largesse from its “One Belt, One Road” initiative. How Southeast Asian countries perceive China and its intentions will govern their reactions to America’s firmer posture in the region. China risks becoming its own worst enemy. The harder China pushes, the more the United States gains. 1.David Tweed, “China Says South China Sea Construction Is Protecting Distant Reefs,” Bloomberg, November 22, 2015; Megha Rajagopalan and Praveen Menon, “China Says Won’t Cease Building on South China Sea Isles,” Reuters, November 22, 2015; Matt Spetalnick and Rosemarie Francisco, “Obama Puts South China Sea Dispute on Agenda as Summitry Begins,” Reuters, November 17, 2015. 2.Richard D. Fisher, “Posturing continues in the South and East China Seas,” Jane’s Defense Weekly, November 26, 2015; John Ruwitch, “China’s Navy ‘Restrained’ Facing US Provocations: Admiral,” Reuters, November 20, 2015; Michael Martina, “China Says Has Shown ‘Great Restraint’ in South China Sea,” Reuters, November 17, 2015. 3.Andrea Shalal and David Brunnstrom, “US Likely to Make Another South China Sea Patrol before Year-end: Navy Official,” Reuters, November 20, 2015. 4.Jon Grevatt, “United States Enacts ‘South China Sea Initiative,’” Jane’s Defense Weekly, November 26, 2015. 5.That is why the US-led Trans-Pacific Partnership FTA has been a useful addition to America’s engagement approach with Southeast Asia. 7.“China, Vietnam Pledge Closer Friendship, Partnership,” Xinhua, April 7, 2015; “China and Viet Nam Hold the Seventh Meeting of the Steering Committee for Bilateral Cooperation,” Ministry of Foreign Affairs of the People’s Republic of China press release, October 27, 2014. 8.“Chinese Warship Soldiers Point Guns at Vietnamese Supply Boat in Vietnam’s Waters,” Tuoi Tre News, November 27, 2015; “Vietnam Accuses China of Beating Fishermen, Demands Punishment and Compensation,” Associated Press, September 10, 2014. 9.Chun Han Wong, “Vietnamese Prime Minister Welcomes Larger Role for US,” The Wall Street Journal, June 1, 2013, http://blogs.wsj.com/indonesiarealtime/2013/06/01/vietnamese-prime-minister-welcomes-larger-role-for-u-s.
10.Tamaki Kyozuka and Tetsuya Abe, “China Starts Work on Laos Railway, Eyeing Farther Horizons,” Nikkei Asian Review, December 3, 2015; Somsack Pongkhao, “Laos Supports China’s One Belt, One Road initiative,” Vientiane Times, September 22, 2015. 11.“UPDATE 1-Thailand Draws Nearer to China with Rail, Rice and Rubber Deals,” Reuters, December 3, 2015. 12.P.R. Venkat and Rick Carew, “China’s Clout in Malaysia Set to Grow After 1MDB Deal,” The Wall Street Journal, November 25, 2015; “Malaysian Deputy PM Says Must Defend Sovereignty in South China Sea Dispute,” Reuters, November 14, 2015. 13.Remarks by Preside Barack Obama and Prime Minister Najib Razak, Kuala Lumpur, Malaysia, November 20, 2015. 14.Whenever asked about Indonesia’s exclusive economic zone, Chinese diplomats equally artfully answer that China does not claim the Natuna Islands, leaving aside their maritime dispute in the South China Sea. 15.Randy Fabi and Ben Blanchard, “Indonesia Asks China to Clarify South China Sea Claims,” Reuters, November 12, 2015; Randy Fabi, “Indonesia Says Could Also Take China to Court over South China Sea,” Reuters, November 11, 2015. 16.Chairman’s Statement of the 10th East Asia Summit, Kuala Lumpur, Malaysia, November 25, 2015; Hideki Yabu, “Muted Tone on Maritime Issue,” NHK World, November 24, 2015, http://www3.nhk.or.jp/nhkworld/english/news/insideasia/20151125.html. 17.Yeganeh Torbati and Trinna Leong, “ASEAN Defense Chiefs Fail to Agree on South China Sea Statement,” Reuters, November 4, 2015; “No Joint Declaration at Asia Defense Meeting amid Sea Tensions,” Associated Press, November 4, 2015.